The relationship between Nintendo and indie developers seems to be getting stronger by the day. We've seen characters such as Shovel Knight represented as an assist trophy in Super Smash Bros. Ultimate and now the developer behind Crypt of the NecroDancer is working on a special Zelda cross-over known as Cadence of Hyrule. Really surprised Graceful Explosion Machine has stayed up there. Especially since Shovel Knight was also a launch title on Switch. The only one I have on this extended list is SteamWorld Dig 2 and even then, that's only the physical copy. Don’t have Overcooked 1 or 2, Graceful Explosion Machine, Kamiko, or Golf Story. Have every other one mentioned though, and all fun! Meant to add - Also, been finding most good indies are more fun than major retail games as of late. This list makes sense. Bit of a crime Crypt of the Necrodancer didn't make top 10 though. Super excited for for Cadence of Hyrule. Super surprised Shovel Knight isn't top 10. So basically, the ones that sold well everywhere else? I find the lack of Wargroove disturbing... Then again it's less than two months old. It'll eventually show up in that list, I hope. The Messenger should had been up there too, that was my go to indie game cause it had the best of both worlds. Also kinda bummed to see Iconoclasts failed to take off when Metroidvania games remain so popular, that game was outstanding. @SmileMan64 it's not even in the charts in the UK, and it was number 22 in the download only bit only a couple of days ago. Not great if you ask me. Stardew Valley's selling power is unbelievable. I think it's been in the top 10 best selling games on the eShop ever since it launched, usually right near the top. Of those on the list, I've got Hollow Knight, Golf Story, Celeste, and Overcooked. I'm most surprised to see Graceful Explosion Machine. That's a game I've never seen recommended on Switch message boards anywhere. Enter the Gungeon is a phenomenal game for Roguelike bullethell enthusiasts with a sense of humor. @Heavyarms55 gonna have to give those a closer look, golf story and iconoclasts. I feel like you and I have similar tastes in how you worded all that. @Alto Golf Story was often compared to the GBA Mario sports games with some Earthbound flavor. Iconoclasts feels a lot like a the namesakes of Metroidvania - Castlevania and Metroid. Though that soon will change, as I've ordered the LRG physical version of Celeste, and I'm thinking about getting Dead Cells shortly as well. Also interested in a physical copy of Hollow Knight when that one becomes available. And I'm hoping for a retail release of Undertale. Only one I'm missing from that is Overcooked 2, which I haven't bought because I haven't found much opportunity to play the first game. Good to see Celeste up there as out of all the amazing indie games on the Switch, it's the best of the lot. How much time did you spend on it ? I really didn't enjoy the first 5 hours, and came to loving it. I could be wrong but on the European e-shop I've not seen shovel knight reduced in sales either at all, or by any significant amount. I keep a look out as I'd like to buy it when it comes down in price. Maybe that's why it's not longer in top 10? Undertale, graceful explosion machine and golf story are the ones I've not purchased/played on this year's list. No Yoku's Island Express on this list is a crime. It's half price right now so anyone reading this that doesn't currently have it downloaded should go and do it right now! Hollow Knight feels like an additional day job. Its main flaw in my opinion is it takes itself too seriously, and does not have any respect for the players' time. I do understand that the 'git gud' crowd loves it, but it is not worth my time after having a full time job. P.S. : Love Stardew Valley and Celeste among the others in the list. I really didn’t enjoy hollow knight but I only got a few hours into it. I’ll give it another chance but I really didn’t see the big deal with it. Stardew Valley is amazing though, can’t stop playing it! Hollow Knight has left a gaping hole in my gaming heart. After 50 hours of play, it has set the bar so high that any other platformer or metroidvania feels so lacklustre. I'm yet to try The Messenger or Iconoclasts, hopefully one of them manages to fill the void. @PBandSmelly I'm the opposite. I really didn't like how Hollow Knight looks, so it took a while before I even tried it, but then I liked almost everything about it and was hooked. @Scottwood101 Iconoclasts is completely different, but very good. It feels a bit like the gameplay of Metroid Fusion mixed with a SNES-era JRPG story. I own all of them but Overcooked 1&2 and Stardew Valley, which I deliberately skipped (as of now). It's amazing to see Graceful Explosion Machine there, such a gem and the devs are lovely. @Scottwood101 Word. After finishing HK and playing it exclusively for 60 hours, I was like "I guess I have to play something else now? But in won't be as good as Hollow Knight, will it..."
I played Celeste on Xbox One and couldn't get into it. @PBandSmelly Genuinely curious what you see as flaws in Hollow Knight? To my thinking it's been one of the tightest games, in controls and design. @San_D I'm also curious what you mean by not having respect for the player's time? It seems to me that HK is almost entirely meaningful content without much filler at all. What do you define as not having respect for your time and how could it have more? Fair do's on all of these although Celeste should be right up the top. What a game, not just an indie game. @NintendoFan4Lyf Me too. Even though I love strawberries. The only game on the present list I have on Switch is Hollow Knight, and I really loved that. Been meaning to try Golf Story and Stardew for ages, just never pulled the trigger. I have Gungeon on PS4 and that's when I realized I hate the die-and-lose-everything nature of most rogue-likes. The rest don't really interest me at all. STILL Undertale?? I wouldn't have thought. Enter the Gungeon absolutely crushed me. Still haven't gotten past even the secomd level. Will have to give it another try at some point. I have half the list and have considered getting most of the rest on this. @PBandSmelly Only flaw I found was the tedious amount of backtracking late in the game due to the lack of a good fast travel system. But then, I am something of a completionist. @frabbit One of the best games I've ever played, period. everyone asking where is shovel knight.. the list is 2019, I assume shovel should be at least top 3, 2017 and or 18... i finished shovel and celeste and i started hollow knight.. it's SO hard to decide which one is the best..
@NoxAeturnus the problem is not with content. In fact, I believe the large volume of content makes the game all the more daunting and sterile. However the biggest problem I have with it is the way its mechanics are designed. The amount of travel to reach the point you died at, and then defeating the shade before you can try a pesky boss battle only to die again - it's tremendously cumbersome. I do acknowledge that games can be hard and many players enjoy this, but for me it falls more in the range of annoying than challenging. On top of that, combat is a very important aspect of this game, but the mechanics are not really perfect, with very little options. For example, I always prefer a more ranged approach to combat. Hollow Knight is terrible in that aspect. And to top it off, there is no option to make the game palatable for those who do not enjoy these aspects of the game. It is almost like a singular vision of the developers packaged in a git-gud-or-get-out kind of a game. "Mate, this Hollow Knight is not for me, I keep dying!" "Don't know if I'm going to stick with this"
Have 4/10: Hollow Knight, Enter the Gungeon, Undertake and Celeste. As for difficulty, I never saw the regular difficult of HK particularly hard. Gungeon (I'm which I am still only at level 3 average, but is awesome) and even some games like Snake Pass were more difficult for me. While I got and definitely enjoyed Celeste, I see it as massively overhyped. After all the press coverage I was expecting some sort of incredible tale, and the plot just fell cliched. Nice to see Hollow Knight. Best indie on the Switch IMO. The complaints about the difficulty are expected as not everyone wants a challenge, but the hardest content is optional and most bosses only took me a few times to figure out. However this game is very much one where you have to learn the bosses moves and dodge. You can't tank the bosses like many games. That being said the game is gorgeous, the controls are tight and precise and it offers a ton of content. Shame Into The Breach is not on here. Amazingly addictive game and one of the better games out there. Check it out if you are not familiar. @San_D Odd that one of the things you felt was a barrier actually seemed like good design in my opinion. I felt that benches were often very near boss rooms, which made the travel back for a retry almost nonexistent, and they always made sure you could recover your shade before restarting the boss fight. I agree that HK has very little in the way of ranged combat, but that's clearly a design choice, not a flaw. 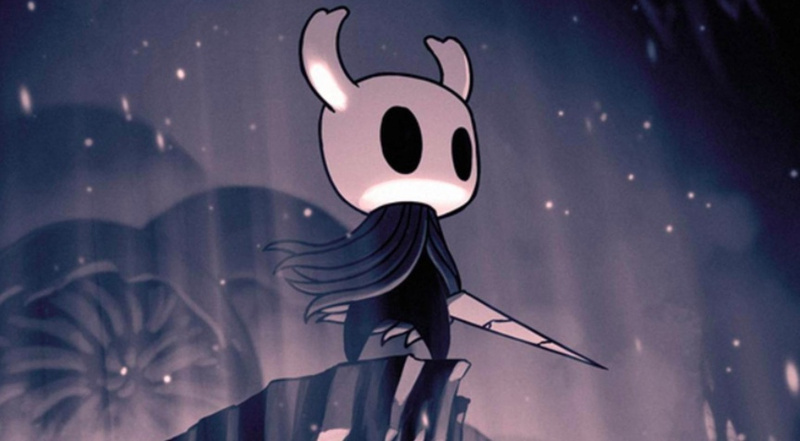 The combat mechanics are very tight and responsive, and I found that spells and charms added plenty of depth, but I can see that if you don't prefer Hollow Knight's combat the game would feel lackluster. It does what it does very well, but it sounds like what it does is not your kind of game. That singular vision made for a very focused product; it doesn't have to please everyone and it doesn't try, and that's to the designer's credit in my opinion. Oh well, not for everyone. @frabbit I don't think it's any tougher to start than any platformer. I certainly didn't feel like it took 5 hours to get into. I mean, you have move, jump, sword, and heal to start, and early enemies charge, jump, crawl, stand, or fly aimlessly. It's really not that bad. HK is not a hard game despite it's apparent infamy for being hard. Shovel Knight was WAY harder both to get into and to keep progressing. I felt that Crypt of the Necrodancer was also much harder to start than HK. Suprised the messenger was left out. @NoxAeturnus I dunno. I got to Brooding Mawlek really early, before I had the wall jump or anything by down-slashing up across the spikes on the way to his location and spent ages on that a** hole before realising I was underpowered for the fight. Still, everyone has different skill levels I suppose. Definitely a decent list from what I've observed. My OCD wishes that both Overcooked games would be listed next to each other though. @frabbit Fair, but then again you used an innovative technique to overextend yourself in the exploration. In a way, your high skill played against you that time. @Wendigo i honestly got so mad at that game that I deleted it from my Nintendo switch... so hard! I have 7 of the top 10, as well as Fast RMX. All top-quality games, even if I haven't gone very far yet in a few of them. A couple of these have given me many times the enjoyment I got from games that cost three times as much. When I clicked on the "Hollow Knight" link in the article, it opens up the Overcooked 2 game page. Hollow Knight is a masterpiece, I'd love to see Hornet as Smash DLC. I love hollow Knight, even though I thought I wouldn't, it's now one of my favourites. In terms of design, how it looks, the lore and the controls it's amazing. Yes it's hard, but never unfair imo. I had so many hours already in Stardew on PC I'm still reluctant to buy again, but I might. Didn't love golf story. It must not be a real list. Wandersong- Singing Simulator isn't up there. @NintendoLife the hyperlinks are messed up. Hollow Knight links to Overcooked, tc.